Here is another of our talented winners from this year’s “YouTube/Writing Contest.” Congrats to 12th grader, Nisa, on her hard work! Read below to see her winning submission. 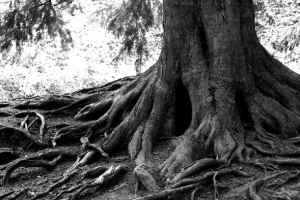 It’s said that each individual life inspires that of another – roots intertwining to form an overall structure. That being said, wouldn’t you want the healthiest functioning roots of all to belong to the system in which you are involved, as compared to acrid brown, deprived of sunlight and water – perhaps someone who may not want to be there? As it is, each root and stem structure possesses individual needs that may not be identical to that of another. Amount of water, sunlight, position in landscape, etc. all determine whether it will flourish or decompose. This of course, is a thoroughly over reaching analogy, in which roots and plant systems are all a part of the message I hoped to convey. As our lives intertwine regardless of the desire for such, one would only hope for the healthiest, most enjoyable interaction. The lives involved in our own, those that act as a means of support as well an equal – i.e. roots – can act either as a force that inspires one to better oneself or one who brings another down, stifling their growth. When applied to schooling, the need only increases, as each student possesses individual needs and inclinations that may not be met by a structure set in stone. Rather, a system that caters to the individual needs of students – 21st Century Cyber Charter School. When provided with an alternative means of education, one in which more than accommodates the individual needs of students, taking note as to what works best for each individual, one will find an individual that previously wilted under prior conditions now flourishes. Given an environment in which education can really ensue, free of stimuli that are otherwise heavily distracting and quite possibly damaging, the student is now able to not only thrive in school life, but in personal life as well. When completing work with quality effort, one will find them with far more time to complete and engage in things important to them, whereas prior circumstances often occupied much of their time at home, as well. I myself, quite possibly find this to be the most significant factor in the makeup of cyber schooling. Involved in such a fragile, significant stage in one’s development, it seems only logical to provide oneself with a system that allows you freedom to develop, on all levels. Factors that previously stifled one are now individualized, with much thought involved. You are not a number, nor are you merely a student in a specific class. Your voice, input, and success are all highly important to your educators, a feat that provides the student with a confidence that may have previously lacked. When provided with such abundant options, such as the endless choices of electives, for one, you find yourself enthused to engage yourself. In fact, your personal interests, that you now have much more time to pursue, can be brought into school, as well, with far more options than that of public school. The broad curriculum has proved not only thoroughly interesting as well as informative, but also far more well suited as to the needs of real world requirement, as compared to state requirements. In the short time that I have been a part of the 21st Century Cyber School community, I have found my educational experience significantly improved, one in which I am able to flourish. In short, 21st Century Cyber Charter School offers freedom, as well as an opportunity to engage in a community that is not only qualified to assist you, but excels and relishes in doing so.